Tuberculosis (TB) is one of the leading causes of death by infectious diseases worldwide. In 2015, the WHO estimates that 10.4 million became infected with TB, and 1.4 million people succumbed to this disease. Over 95% of cases and deaths are in developing countries, with about 84% of reported TB cases occurring in 20 countries. India has the highest burden of tuberculosis in the world with estimated 2.8 million incident cases, aggregating to more than a fourth of the global burden. Indian government has targeted to eliminate TB in India by 2025. The emergence of Multi-Drug Resistant (MDR) and Extensively Drug Resistant (XDR) strains of M. tuberculosis (Mtu) has increased the threat that this disease poses to global public health. 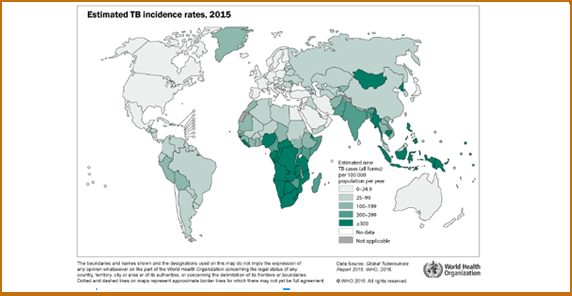 An estimated 13% of tuberculosis cases are resistant to the important first-line TB drug isoniazid (INH), and in 2015, there were an estimated ~480,000 cases of MDR-TB worldwide, with India, China, and the Russian Federation accounting for nearly 45% of these cases. The report of totally drug resistant (TDR) TB in 2015 and the potential spread of this TDR pathogen has created an urgency for new treatments for this disease. Neglected Tropical Diseases (NTDs) are a group of communicable diseases that cause substantial illness for more than one billion people globally. NTDs affect the world’s poorest people, impair their physical and cognitive development, contribute to mother and child illness and death, make it difficult to farm or earn a living, and limit productivity in the workplace. 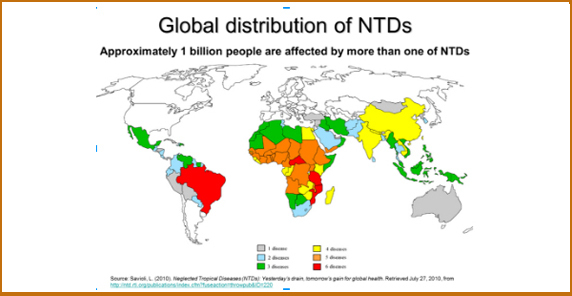 As a result, NTDs trap the poor in a cycle of poverty and disease. The World Health Organization (WHO) lists 17 diseases as Neglected Diseases. One hundred per cent of low-income countries are affected by at least five neglected tropical diseases simultaneously. 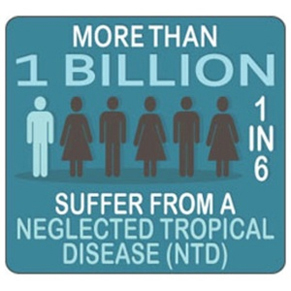 Worldwide, 149 countries and territories are affected by at least one neglected tropical disease (NTD). Neglected tropical diseases kill an estimated 534,000 people worldwide every year. NTDs are a major cause of disease burden, resulting in approximately 57 million years of life lost due to premature disability and death. Individuals are often afflicted with more than one parasite or infection. Treatment cost for most NTD mass drug administration programs is estimated at less than US fifty cents per person per year.